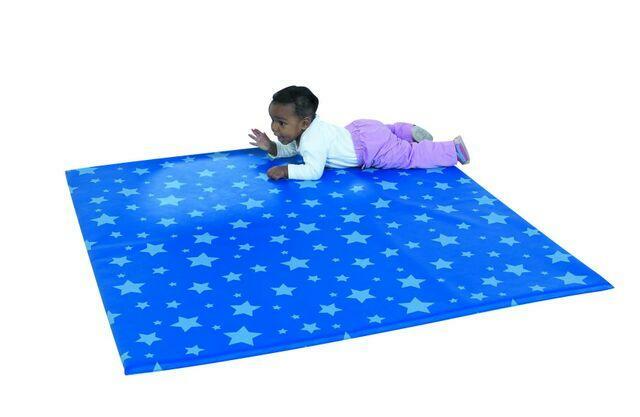 Made of 1" thick virgin foam, this vinyl covered nylon mat easily wipes clean and can be a multi-purpose mat for all ages. Great for school age activities and shielding from non-hygienic surfaces, or a gentle soft place for just PLAY! Not suitable for tumbling or gymnastics. Softly safe expanded vinyl mat provides hygienic activity surface. Mirror sold separately. All ages. Drop ships from manufacturer in 2-3 weeks. Dimensions: L: 52" x W: 52" x H: 1"